As the second largest collegiate area in China, the Optics Valley has abundant education resources and many top universities. The science and education level there is higher than the average in China. The valley has 42 colleges and universities such as Wuhan University, 56 research institutes at national or provincial level, 63 members of Chinese academies of sciences and engineering, over 200,000 professional technical personnel and over 800,000 colleges and university students. It is true to its reputation as a special zone of talent and intelligence. Wuhan University (WHU) is a comprehensive and key national university directly under the administration of the Ministry of Education. It is also one of the "211 Project" and "985 Project" universities with full support for construction and development from the central and local government of China. The history of Wuhan University can be traced back to the Ziqiang Institute, which was founded in 1893 by Zhang Zhidong, the governor of Hubei Province and Hunan Province in the late Qing Dynasty. Over the past century Wuhan University has built an elegant palatial architectural complex of primitive simplicity which blends perfectly eastern and western architectural styles. It is honored as the "Most Beautiful University in China." Huazhong University of Science and Technology (HUST) is a comprehensive and multi-disciplinary research university, composed of one main campus situated near the East Lake scenic spot and a satellite medical campus located in the central business district of Hankou on the other side of the Yangtze River. It is among the first Universities joining the national “211 Project” and “985 Project”. HUST’s picturesque campus covers over 460 hectares and has 72% greenery coverage, which has earned HUST the honorary title “University in the Forest”. Central China Normal University is a key comprehensive university directly under the administration of the Chinese Ministry of Education. The picturesque campus is nestled on Guizi Hill, bordering South Lake. One of the universities listed in the 211 National Education Priority Project, Central China Normal University is recognized as an important base for cultivating brilliant talents for the country, as well as a superior training center for teachers in higher learning institutions and high schools. During its century-long development, it combines the Chinese traditional culture with foreign civil elements, providing nearly 30,000 high-caliber graduates to the nation. Wuhan University of Technology (WUT) is one of the leading Chinese universities directly under the administration of the Ministry of Education and one of the universities constructed in priority by the “State 211 Project” for Chinese higher education institutions. It has 27 scientific and research base at provincial and ministerial level, coving such major industrial sectors as building materials, transportation and automobiles. It has set up a science park in Wuhan Optic Valley, covering 820 mu (54 hectares). Its high-tech sales totaled 1.6 billion yuan in 2015. 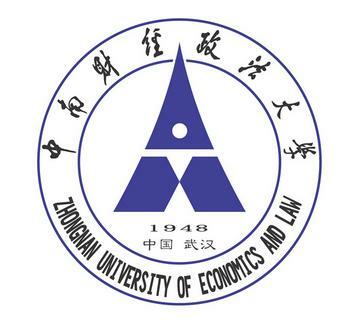 The Zhongnan University of Economics and Law (ZUEL) is an institution of higher education under the Ministry of Education with economics, law, and management as its core disciplines. It is also one of the universities sponsored by the “211 project” and “985 project”. It has two campuses – the Nanhu Campus sits along the scenic South Lake, the Shouyi Campus is located by the Yellow Crane Tower. Huazhong Agricultural University (HZAU) is a national key university of “Project 211” and “ Project 985” directly under the Ministry of Education. As a national cradle of talents in life science and technology, it puts equal emphasis on agriculture, literature, and economics, among others. Located at the Optic Valley, China's answer to Silicon Valley, Wuhan Optics Valley International Foreign Languages School is an international school, but is also deeply rooted in tradition. It provides primary and junior secondary education to all Chinese students. It features first-rate teaching facilities, international faculty members as well as foreign-language textbooks, adapting the students to the international education systems. Maple Leaf International School in Wuhan is approved by the Wuhan Education Bureau and the education administration of Canada’s British Columbia province. It was founded by the Dalian Maple Leaf Education Group in 2007. Located by the Tangxun Lake in the Wuhan East Lake High-tech Zone, Maple Leaf International School is composed of Wuhan Maple Leaf School (primary and middle school), Wuhan Maple Leaf International School (high school) and Wuhan Maple Leaf Foreign Students School. The school has introduced the original teaching materials and education assessment system from British Columbia, based on bilingual teaching given by both Chinese and Canadian teachers. It has established a high-school graduation credit course system approved by Chinese and Canadian education authorities. 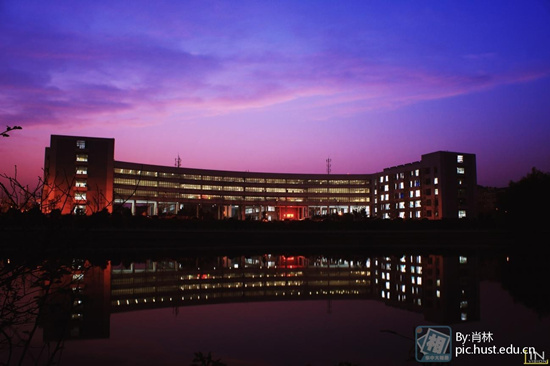 ULC Cambridge International School of Optics Valley (Wuhan Campus of Ulink College) is an international full-time boarding high school in the Wuhan East Lake High-tech Zone. The school has set Cambridge A-Level and IGCSE international curricula. These curricula are recognized by 10,100 overseas universities in 164 countries and regions across the world and meet the students’ needs for university application. The ratio of teachers and students in the school is as good as 1 to 4 including over 50 percent foreign teachers. 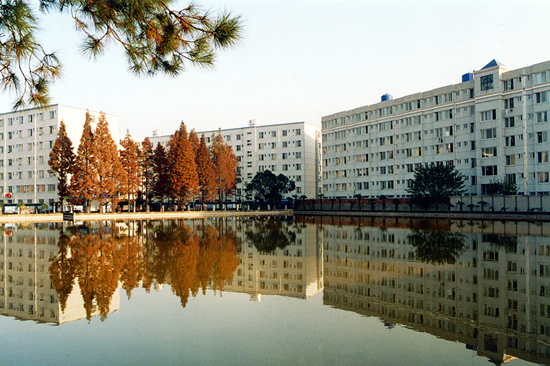 Located in the East Lake High-tech Development Zone, No 1 Middle School Affiliated to Central China Normal University, a national key middle school, has won a great number of honors and awards, including being named a candidate key middle schools in Hubei province in 1962, the “Hubei Model Middle School” with the highest score in 1997. The Middle School Attached to HUST sits next to Huazhong University of Science and Technology. 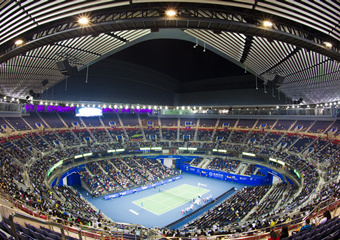 It has profound humanistic connotations and a strong study atmosphere. It’s also a demonstration high school at the provincial level in Hubei province and a high school attached to a university directly under the Ministry of Education. Wuhan No 2 Senior Middle School of Optics Valley has built a Xinxing education system (which means to emphasize quality education) highlighted by “three characteristics”, “three experiments” and “five types of education”. The school has won honors such as being cited as a Wuhan Civilized Unit and a demonstration high school at the Wuhan municipal level. 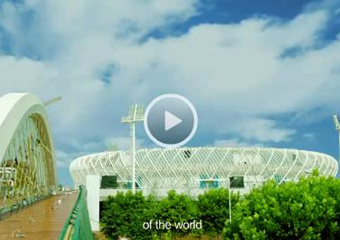 The Wuhan Optics Valley Experimental Middle School, a National Campus Football Base and National New Education Experiment School, was established in 2008. Moreover, it is also Hubei provincial teachers’ on-the-job training base, one of Wuhan’s public model primary and middle schools, and a showcase of junior high schools in Wuhan East Lake High-tech Zone. Established in 1952, Wuhan Optics Valley No 2 Junior Middle School was formerly known as Wuhan Changshan School; it adopted its current name in September 2009. It accepted the trusteeship of the Middle School Attached to HUST in August 2014 and became its Optics Valley branch. The Attached Primary School to HUST was established in 1953 and is the attached primary school of the university directly under the administration of the Ministry of Education. The school now has 32 classes with over 1,500 students. The Optics Valley No 1 Primary School was established in 2004. This picturesque campus is distinctively people-oriented, green and harmonious. Following Chinese Educator Tao Xingzhi’s educational theories of the need for genuineness, the school is using unique teaching practices. Copyright © Administrative Committee of Wuhan East Lake High-tech Development Zone. All rights reserved.